Taipei, Dec. 14 (CNA) Taiwan is calling for resumed cooperation across the Taiwan Strait to deal with the problem of air pollution, a spokesman for the Mainland Affairs Council (MAC) said Thursday. With the problem of air pollution quickly becoming a top priority for the government, MAC vice minister and spokesman Chiu Chui-cheng (邱垂正) called on the Chinese government to resume talks regarding environmental protection. According to Chiu, the MAC and its Chinese counterpart the Taiwan Affairs Office (TAO) previously held talks to implement joint policies to tackle poor air quality, but those discussions ended when the Democratic Progressive Party took office on May 20 2016. Given that air pollution in Taiwan stems both from local power plants and sources in China, the vice minister believes it is an issue of mutual concern. 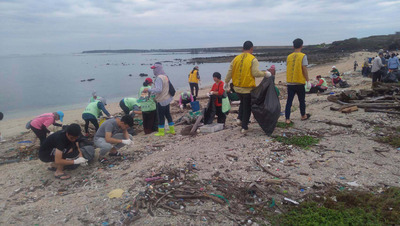 The two sides of the Taiwan Strait should work together to deal with air pollution and ensure pollution does not impact people's health, he remarked. The Cabinet passed an amendment to the Air Pollution Control Act earlier the same day, which will now be reviewed by the Legislative Yuan.